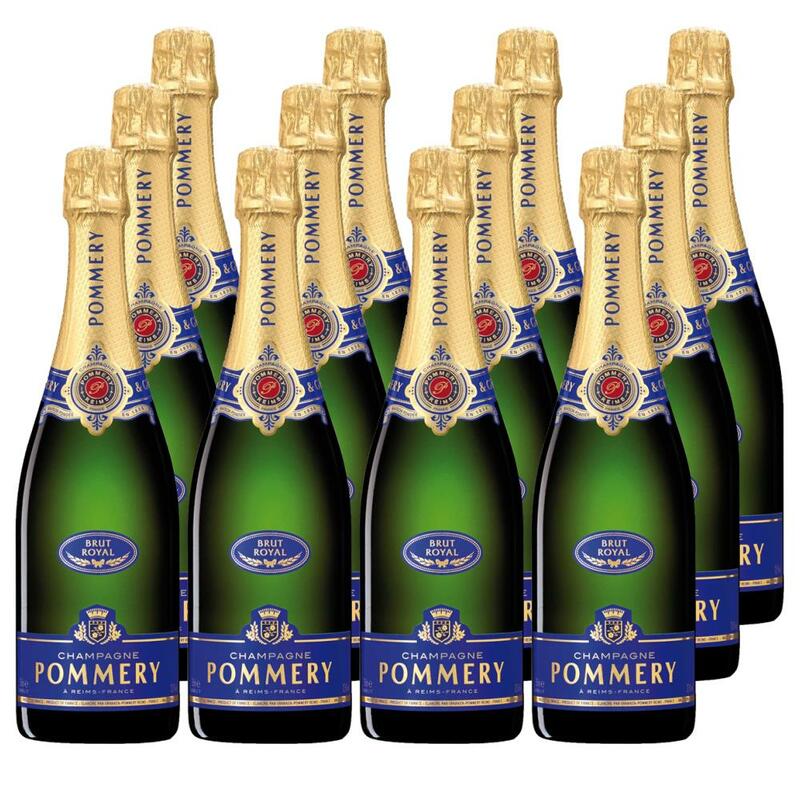 Buy a Case of 12 Pommery Brut Royal Champagne 75cl (12x75cl), and get them all packed into a protective outer box and delivered together. A blend of 35% Chardonnay, 35% Pinot Noir and 30% Pinot Meunier; the grapes are sourced from 40 selected villages in the C?te des Blancs, Montagne de Reims and other areas in the Champagne region. The high percentage of Chardonnay is noticeable on the palate that shows citrus and white flowers.